In Lincoln, Nebraska, every May 31st is deemed “Give to Lincoln Day.” This day is a community wide initiative focusing on fundraising for local non-profits. In total, Lincoln saw 19,975 individuals donations, to help local non-profits raise $4,613,011.73. 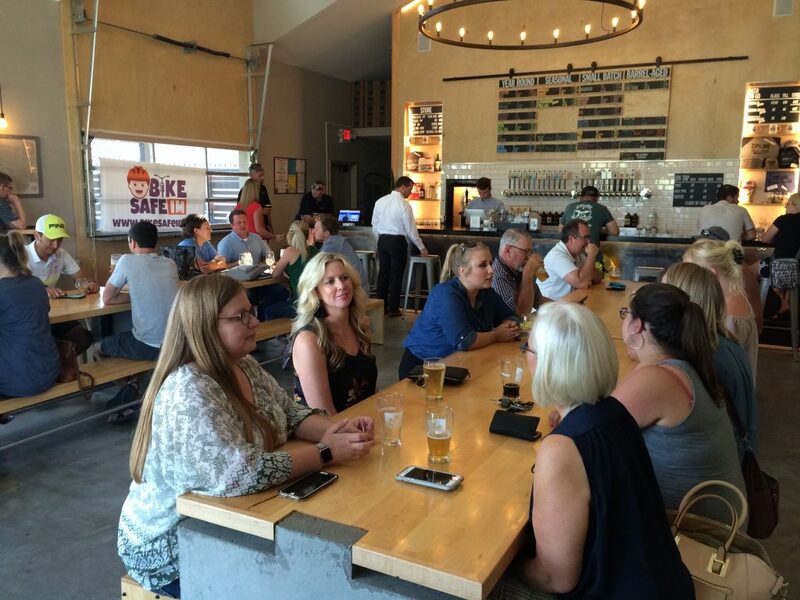 Nebraska Home Sales and NHS Commercial came together to help support Bike Safe I M, at a local Beer Hall for drinks and appetizers. Bike Safe I M is a local foundation, who helps spread awareness and facts about bike safety and the importance of wearing a helmet when riding. The foundation was created after, at the time, 8 year old Ian was riding his bike and was struck by an SUV. The saving grace in the accident was his bike helmet. The helmet was brought to the fundraiser, showing just how much damage the helmet absorbed, instead of Ian, most likely saving his life. Being able to help Bike Safe I M raise $2,700.00 May 31st was not only great for the foundation, but was a joyful time with our team. In Real Estate, our Agents are constantly on call. This means we do not always have the chance to see each other at the office. Being able to rally around this organization on Give to Lincoln Day gave us a great reason to put a pause on our usually very busy and odd hours to enjoy each other’s company.